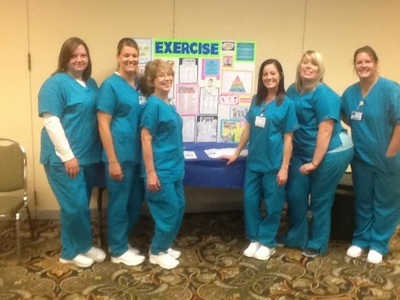 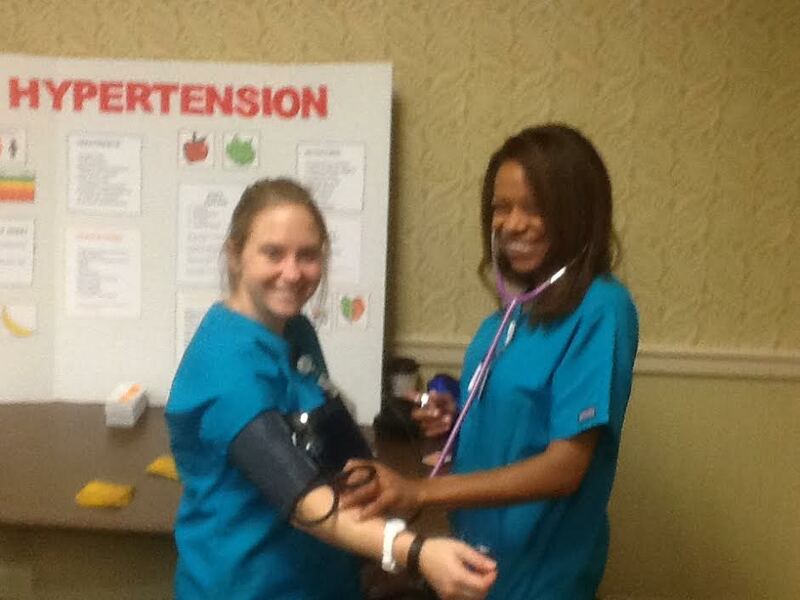 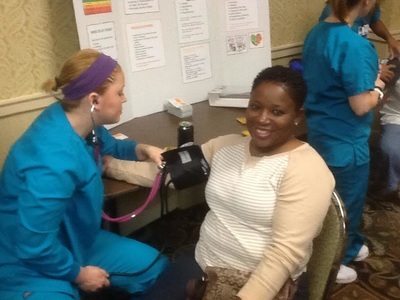 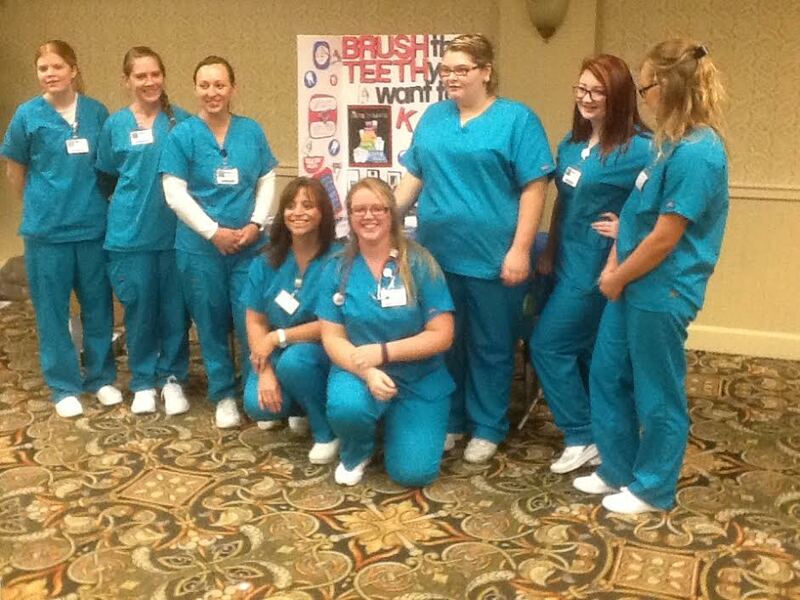 Led by nursing instructor Debra James, an enthusiastic battalion of Jefferson Community and Technical College nursing students recently hosted a health fair at the mission's Hotel Louisville. Due to drugs, alcohol, poor nutrition, and exposure to the elements, many of our clients face a host of health problems. 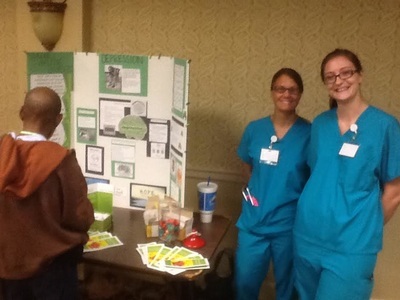 It is hardly surprising that substance abuse, homelessness, and exposure take such an exacting toll on the overall health and well-being of our community’s most impoverished neighbors. As the women and men in our recovery program seek to regain control over their lives, they commence showing an interest in their overall health and well-being. 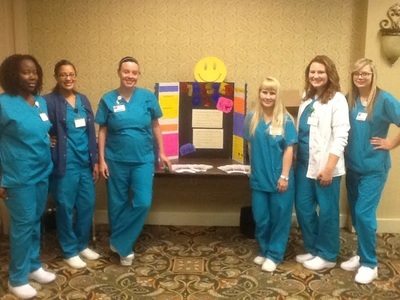 Thanks to the hard work of these visiting nursing students, the men and women in our recovery program gained new understanding in such areas as oral health, diabetes, hypertension, nutrition, exercise, and stress management. 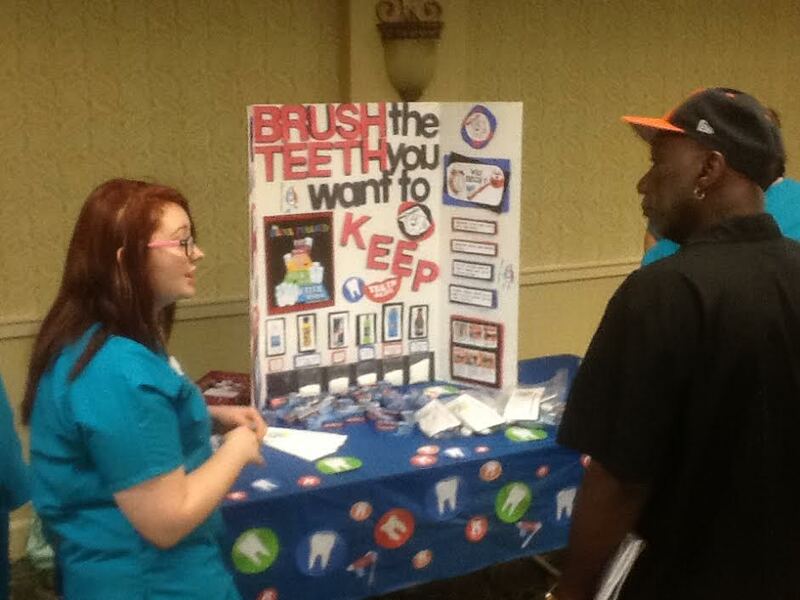 The students also proved their ability to connect with our homeless clients. 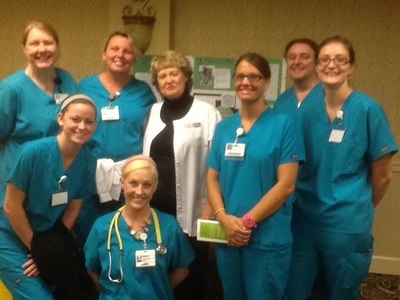 Questions were answers, thoughts were exchanged, and there was a noticeable comradery between the visiting nursing students and our resident clients. Once again, Jefferson Community and Technical College proved what good community neighbors are all about. We are grateful to these future health care professionals and, of course, to Debra James who seeks to fill a genuine need common to our community’s marginalized citizens.